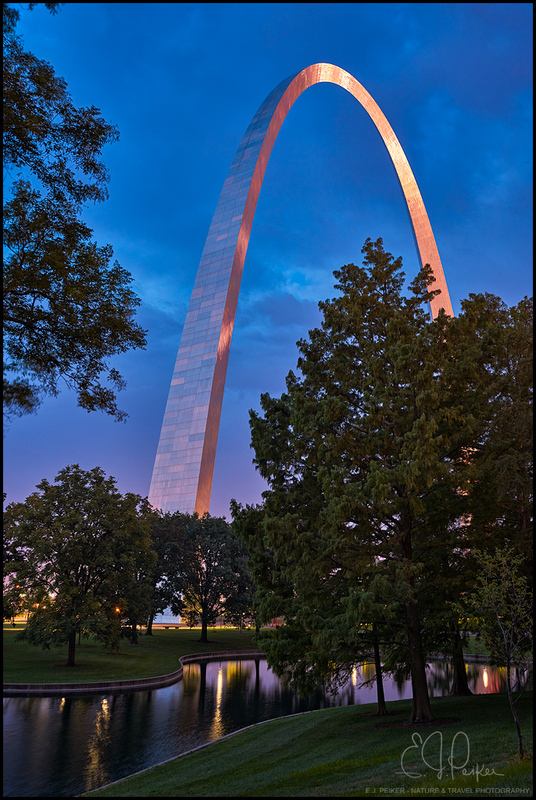 Another shot from the newly minted Gateway Arch National Park along the Mississippi River in Missouri. This really shows off the majesty of the arch. The reflections and lights give it a nice mood as well, as does the deep blue sky. Inspiring!. A pleasure to see this arch along with its immediate surroundings, something I have not seen very often. The way the light catches and highlights the arch absolutely makes the image! but you knew that anyway. Beautifully done. Beautiful light and well framed image!